Rewarding Value-Creating Ideas: What Works? Research about motivation, performance and creativity of employees typically provides fascinating and sometimes conflicting results. Value-creating ideas are very important to companies and managers alike. So, what can you do to increase these ideas in your company? The general answer is to raise the degree of autonomy and to stimulate innovation. The former is generally accepted; the latter not so much. High-powered rewards are often thought to “crowd out” intrinsic motivation. 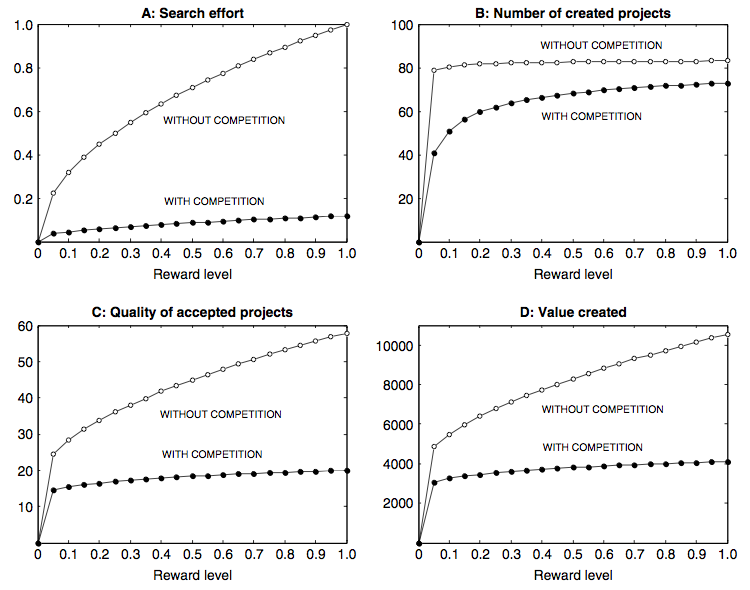 Providing high-powered rewards increase the potential number of good ideas (not exceptional ideas), but due to increased competition there is also a decreased likelihood of acceptance of ideas and this will lead to reduced search behaviour. Previous Previous post: Chief Strategy Officers: fashion or necessity?